AADARANA MAHILA VIKASA KENDRAM is located in HYDERABAD Andhra Pradesh . AADARANA MAHILA VIKASA KENDRAM is registered as a Society at HYDERABAD of state Andhra Pradesh with Ngo unique registration ID 'AP/2013/0068567' . 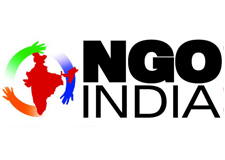 The NGO registration is done by Registrar of Societies with registration number 433 OF 2005 on the date of 14-03-2005, Its parent ORganaisation is SOCEITY. The Chairman of AADARANA MAHILA VIKASA KENDRAM is V CHANDINI and Chief functionary officer is V CHANDINI. Promoters are K USHA, K NIHARIKA, ,.